I am going to post here software and firmware Service Packs before they go on EScribe Suite's auto-updater, for those interested in trying things early, and so if yall find a bug we don't release it to the auto-updater. We appreciate your help testing these. To receive a notification of updates please use the Follow button at the upper right of the page. For customers using Linux, see the beta thread. Boost (International Edition only). Boost can be configured on-device just like Temperature. Boost (International Edition only). To aid initial heating of large Kanthal coils, it is now possible to set a Boost Punch. Boost can be configured on-device just like Temperature. Exposed the max puff time for manufacturers. The charging will now back off if the supply keeps disconnecting it (encountered on a Tomo power bank). Fixed the bandgap test on DNA 250 1.2 SP5.1. Added alignment buttons for controls. Added a "Maintain aspect ratio" option for picture resizing. Copy/Paste now works with multiple controls at a time. Expose "Hold To Change Boost" (International Edition only) for DNA 60 and DNA 250 themes. Boost (International Edition only). To aid initial heating of large Kanthal coils, it is now possible to set a Boost Punch. Expose Board and Room Temperature in terms of Celsius. Fix occasional issues with charging robustness. On Linux, offer to correct permissions if the user can't access USB devices. Exposed Boost in terms of Punch (International Edition only). This should be simpler than Boost Time for most coils. Fixed an issue in SP23+ on some devices which caused Check Atomizer errors. Fixed an issue where Ohm Lock, when edited on the device, was sometimes not saved. Fixed the Weak Battery message. It will no longer erroneously show during Preheat or Boost. Fixed the Battery fields being un-expandable once collapsed. On DNA 75 Color, added support for showing Preheat and Boost in Current Settings. On DNA 75 Color, moved Safety from the General tab to its own tab. This lets you edit profiles without scrolling. Allow the direct creation of Hidden controls. These are useful with conditions. Exposed editing of 'A and B' and 'A or B' for conditions. Exposed Location and Size for easier positioning. Fixed Automatic Tab Order. It was broken in SP7. It is now possible to preview conditions other than the default. Improved button sizing for non-English languages. Production Utility can now program and test multiple devices at once. MacOS: Fixed incorrect layout preventing access to some Picture control features. MacOS: Fixed the ordering of OK and Cancel. Windows: Buttons use system animations. Windows: Improved overall display performance. SamMao contributed an updated Chinese translation. Thanks! Introduced a timeline for Undo. Boost. To aid initial heating of large Kanthal coils, it is now possible to set a Boost Time (up to 1 second) where a larger power than the setpoint is used. Max Output Power. This can now be increased to 100W, though it will only take effect for the first second of a puff, and only for Preheat or Boost. Max Peak Input Current. At low charge, this may need to be increased to achieve 100W. It can now be set to 35A, though this will only take effect for 1 second. Consult your manufacturer and battery specification. If you are uncertain, you can use Boost and 100W without changing this. Fixed preheat stopping incorrectly somewhat below the preheat temperature setting. Graph display ranges can be customized in the View menu. On DNA 75 Color SP26, Production Utility now makes the LED blink green or red depending on the success or failure of programming. If a theme contains a field that needs a Service Pack to work correctly, the uploader will offer the Service Pack. Fixed glitches and missing data when downloading puff recordings on DNA 75 Color. Minor Python scripting bug fixes and improvements. Atomizer Analyzer is no longer hidden when User Interface is set to Clean. Fixed the default save directory. Exposed some fields for themes that want to take advantage of them. When operating standalone, Theme Designer will offer firmware updates from EScribe if any are available. Added support for DNA 75 Color study fields. Fixed Puffs: and Temperature: not showing correctly since Service Pack 5. On MacOS, fixed the Tab key not working right. On MacOS, fixed a crash when attempting to save to a read-only directory. On Windows, fixed ampersands showing up as underscores in descriptions (such as in Theme Installer). Corrected a temperature stability issue on some low-resistance Stainless coils. Fixed a bug where, when changing Profile on the New Coil screen, the material of the new profile would be changed. Fixed a bug introduced in SP24 where editing Time on-device didn't display right. On MacOS, fixed Available Materials not saving. On MacOS, fixed a small number of themes not being openable. On MacOS, fixed ECigStats minimizing to the Dock. Fixed an analog-to-digital sampling accuracy issue. This had caused some coils to read their resistance incorrectly. Fixed a UI bug where scrolling one field occasionally scrolled another field. Equation results are now computed while you are typing the equation. ECigStats can now be launched from Tools. Improvements to experimental MacOS support. Fixed an analog-to-digital sampling precision issue. This had caused some coils to read their resistance incorrectly. USB Current should not be estimated when a mod uses an external charger. On DNA 75 Color, case thermals are now experimentally analyzed in terms of heat as well as the previous charge current. Added axis range options to the View menu. On DNA 75 Color, an estimate of USB Power is now shown. On DNA 75 Color, the Recording menu now has a Show Newest Device Recording option. Save Current Data will now suggest a filename if showing a recording. In Tools -> Diagnostics, Show Diagnostic Information may be useful for some tech support calls. Corrected a temperature stability bug affecting some high-resistance Stainless coils. Corrected an issue with some Stainless coils saying Temp Protected before they've even fired. Fixed the Initial Recording Rate option on the EScribe Research tab. Fixed the device not showing the charge indicator sometimes when it is in fact charging. Fixed the Reset Count statistic. Made the USB Current diagnostic (viewable in Device Monitor or in a theme) work. Room Temperature is now correctly preserved when uploading settings. Since most computers these days have more than one CPU core, I've made Device Monitor able to use a second core to query the device faster. Fixed crash when uploading settings. Fixed issues with doing a production test a second time. If the resistance had changed, it would sometimes not resample and instead fail to test. Fixed the number of columns. You can now drag files onto EScribe (.ecig), Device Monitor (.py), and Theme Designer (.ecigtheme) to open them. Fixed the Device Monitor Standard Deviation statistic. It converted to Celsius incorrectly. Fixed the Error Press Up screen. It now properly waits for you to press Up. Fixed a firmware crash that could occur in some themes. Fixed a bug where you would see Check Atomizer when No Atomizer should have been shown. Fixed a bug where you would see Shorted sometimes instead of Check Atomizer. If you have multiple controls showing Power or Temperature, they no longer have a lag time on updating. Added a Scroll to Newest button. Fixed a lock-up that could happen on device disconnection. Fixed scripting ECig queries. SP2 had broken them. Moved "Open Recorded Data" and "Save Current Data" from Diagnostics into the menu bar. Power Set, Temperature Set, and Profile are now links, so you can adjust them by clicking their value. The ECigStats API is now included in Device Monitor scripting. You can access it by calling the ECigStats object. Fixed Measure Ohms on DNA 75 Color only working on odd-numbered profiles. Fixed Case Analyzer on DNA 75 Color. SP2 introduced a bug that made it impossible to upload the results. Added the ability to save the log. Fixed a lock-up when opening a serial port. Preview images now evaluate the date/time format. Added a Forum link in Help. Fixed a crash on startup in some Eastern locales. Fixed decimal and list separator localization. Units, when set to Autodetect, now derive from the device setting if available. Fixed the brightness changing when you fire. Fixed the brightness changing slightly with battery level. Fixed the Round Robin theme setting. It now updates Status properly. Fixed unchecking "Automatically lock when idle." not working right. Fixed slight battery drain for lock times over an hour. Fixed warnings not staying around for five seconds after you fire. Fixed issues vaping some high resistance coils up at 9V. Research tab has Return By, so researchers in clinical trials can get their devices back. Fixed incorrect resizing when the text has been translated. Fixed incorrect resizing on high-DPI screens. Fixed incorrect placement of Simulate Button Presses on multimonitor setups. Simulate Button Presses now has its own icon, instead of being buried in Diagnostics. Fixed something I've been meaning to fix for a long time: If a firmware upload fails, at least on DNA 75 Color, EScribe will no longer say "Couldn't figure out the device version." and leave folks confused and thinking they have bricked their device. Instead, it will propose uploading firmware to the device. Charts have a preview picture now (just a sine wave). Fixed themes not always saving their baked font images. This matters if you are saving a file using a font that other people may not have. Moving the mouse shortly after clicking a control no longer (incorrectly) moves it. Preview images now evaluate conditions. This makes a lot of themes preview better. Preview images now highlight, to give an idea what the color scheme will look like. Preview images now show Status, if there is only one for the screen. There is now a button ("Free Motion") to drag controls over each other. This is mostly to make rearranging easier. When you are dragging a control over another and it can't be placed, a ghosted box will still show, so you can tell where you are. Picture->Actions->Resize no longer adds an alpha channel to opaque pictures. EScribe Suite no longer depends on OpenSSL. EScribe Suite now uses the system font. Low-level improvements relating to OS portability. More strings are localizable. Units are localizable. Theme Park has its own icon in the Start menu. Localization should work better now. A large number of strings were not localizable before. I have included a more complete en.po file to help translators. You can change language from Theme Designer now, instead of having to use EScribe. Automatic theme backup has been fixed. Fixed word wrapping of the theme description in the Theme Installer. Changing language no longer requires a program restart. You can now easily install a custom language file from Help menus. This service pack is minor bug fixes. - Help->Report Bug and Help->Send Feedback go to the Help Desk. - TLS 1.2 is now used for secure connections if available. - The progress bar displays correctly when the desktop theme is Windows Classic. - The error dialog doesn't go behind the Production Utility window any more. This service pack is mostly bug fixes. - DNA 200 and DNA 250 no longer lose the battery meter on startup sometimes. - Temperature Protected and other messages now show the correct number of flashes again. - Some VaporShark DNA 200s would reset charging when above 0.8A with 1.2 SP3 and 1.2 SP4. They now charge at full speed. - Device Monitor no longer shows Battery Cell 3 on 2-cell devices (except in debug mode). - Get Information shows test information in an easier-to-read form. - Production Utility's Battery Test is now more thorough. It also shows a progress bar. - Production Utility's Fire Test completes more quickly now. It also shows a progress bar. - This resolves some more scaling issues in Large Fonts mode and some crash bugs. - Minor bug and compatibility fixes. - This resolves some scaling issues in Large Fonts mode / on high-DPI screens. - Get Information shows which tests were actually performed by the manufacturer in Production Utility. - Get Information's Manufacturer link did not work in 1.2 SP3. This has been fixed. - When you had more than one DNA device connected, the auto-connect did not automatically select the new one in the Connect dialog. This has been fixed. - Minor compatibility and bug fixes. - Fixed a bug on the DNA 250 that could cause its charging to be slow with certain USB cables (in my tests, the problem cables were flat). - For DNA 250, Production Utility now requires charge tests to be at least 900 mA. This may require a powered USB hub. - Most windows are no longer modal. - In Options, User Interface allows you to choose a desired complexity. - This version is more modular. Device Monitor, Calculator, Production Utility, and Serial Terminal are now all optional install and can run separately. - You do not have to start EScribe to launch Device Monitor. It can be launched independently from the Start menu. - You can run multiple copies of Device Monitor, and uploading/downloading settings will pause it. - You can scroll back in time. This version can communicate with DNA 60, 60 Small Screen, 75, 200, and 250. (1) adds contributed translation for German. Thanks German DNA Crew! (2) fixes .ecig file compatibility and locale issues some European users may have experienced. Restore Defaults should also be more reliable. (3) Device Monitor now fills in the current value when setting profile, power, temperature, etc. (9) contributed translations for Bulgarian, Dutch, French, and Russian. Thanks Milen, Bobby, Raphael, and jQuery! The firmware included is 2015-09-30. (5) minor bug fixes and improvements to usability. (10) various OS compatibility and miscellaneous improvements. (4) a contributed Italian translation. Thanks RallyRace! (4) Chinese translation by SamMao and Norwegian translation by Lars Simonsen. Thank you! 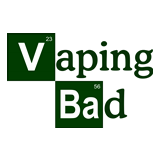 ECigStats is mostly inspired by seeing in taglines on ECF, etc. "X cigarettes not smoked" "Y dollars saved" Basic thought is, why not automate that? Also, the actual power levels, etc. on a population level aren't something that anyone really knows right now, so it'd be interesting for researchers. Right now it lets you sync your puff count, average power, etc. and has some graphs for global stats. Quite preliminary, but it could become very useful with your input. Let me know what features you'd like to see in this! Corrected the battery voltage calibration. Fixed low-battery charging issues with earlier Service Packs. Fixed a bug that made USB Power Bank mode not work. (1) Apply the Service Pack. (2) Go to File -> New, select DNA 75 Color, and choose "International Edition (Replay-enabled)". Minor bug fixes and reorganization. Double-clicking now works when a control has multiple conditions. The default DNA Color theme now uses 0.5W increments instead of 0.1W increments. Made tooltips show up on fields now instead of just their labels, and added some new tooltips. Permission errors on save/load are now more descriptive. Upgraded many icons to high-DPI variants. Minor bug fixes, cosmetic, and usability improvements. Improved the LED response to lock/unlock. Improved the deep sleep behavior. Fixed a crash on Linux when moving controls. When you double-click an .ecig file, it now opens a Settings Installer (similar to the Theme Installer). Fixed a firmware crash that could occasionally come up when the device had been idle for a while. Fixed spurious Temperature Protected errors that could crop up in certain high-CPU themes with Replay off. In Display tab -> Device Monitor, 'Remove Readout' no longer crashes. Firmware -> Browse no longer crashes. DNA Go now does Fire Tests correctly.